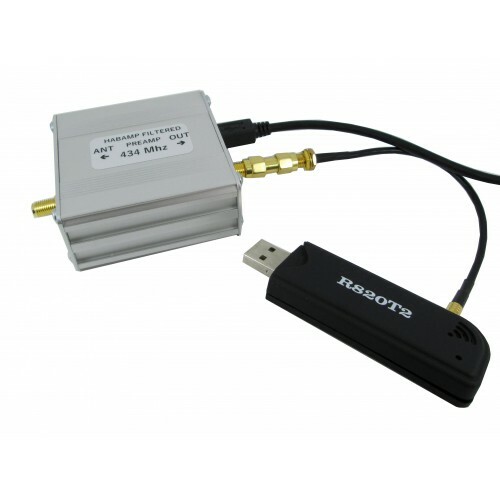 This unit is a small filter and preamp designed to go between a software defined radio receiver and an antenna. Using a SAW bandpass filter and a low noise amplifier (LNA), it stops out of band intermodulation while providing additional gain for increased sensitivity. The LNA is before the SAW filter. This particular model is tuned for use with 137.5MHz. To block strong commercial FM signals a high pass filter is installed before the LNA. 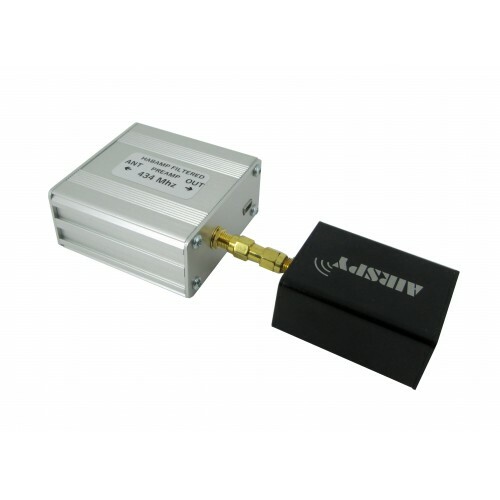 The LNA used is a MiniCircuits PSA4-5043+ which provides at least 21dB of gain @ 137.5MHz. To stop out of band intermodulation an 137.5MHz SAW bandpass filter, which has a 7.6MHz bandwidth is also present. The insertion loss of this filter is approximately 1.4dB. Connectors are SMA female both sides.